shopping for the alessi stella stellina christmas figurine from nova68? stella stellina figurine: part of alessi's modern holiday decor collection made in italy. alessi's porcelain stella stellina measures 3 x 1 inches. this adorable shooting star is a perfect addition to any alessi collection. 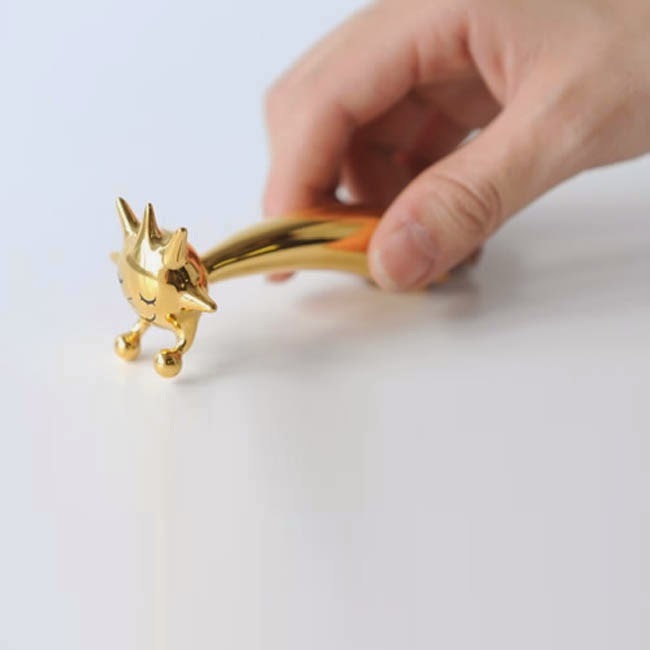 crafted from hand-decorated porcelain with a shiny gold finish, this alessi figurine is designed to be displayed on its own or on top of a nativity scene. the alessi christmas decorative figures and alessi ornaments add a touch of italian designer elegance to the home. the perfect christmas gift for lovers of design.